Cloud-based storage is a popular alternative to maintaining local data backups or as part of a multi-location / off-site strategy, especially if you’re dealing with mission-critical data that’s irreplaceable. Others, however, prefer to keep their data within arm’s reach on high-capacity hard drives. If you haven’t shopped around for hard drives in a while, you may be surprised at what’s out there. The largest 3.5-inch desktop hard drives currently available from Seagate, for example, offer a whopping 10TB of capacity for less than $500. In the event that 10TB isn’t quite enough storage and a multi-drive setup isn’t ideal, you’ll be happy to hear that Seagate over the next 18 months plans to ship 14TB and 16TB drives. A 12TB HDD based on helium technology is currently undergoing testing and according to CEO Stephen Luczo, initial feedback is positive. Most enthusiasts and even some PC manufacturers are now using solid state drives as their primary drive due to the fact that they’re much faster and more power-efficient. What’s more, because they have no moving parts, SSDs generate no noise and are much more durable. That said, there’s still a sizable market for mechanical-based hard drives as they’re much cheaper than their flash-based counterparts. As such, you’ll typically find them bundled with cheaper manufactured computers or used as storage-only drives in desktops. Luczo also noted that traditional hard drives are desirable in newer markets like surveillance where they can store large amounts of recorded data. 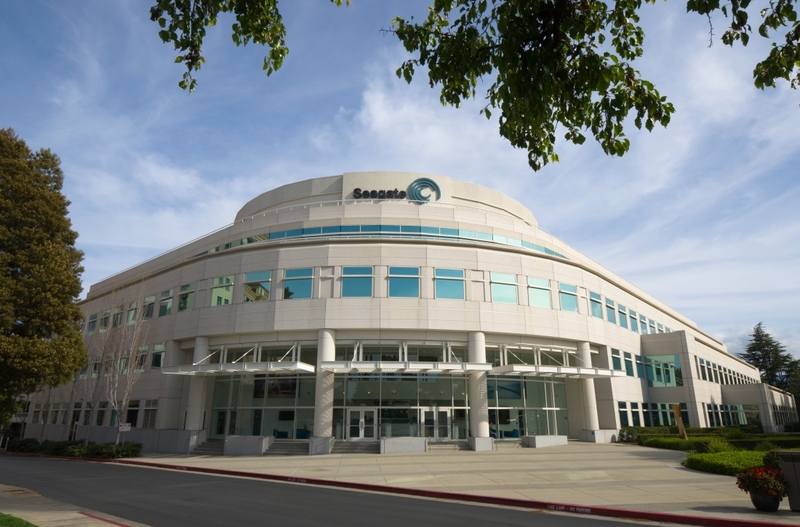 Seagate isn’t just going after larger-capacity hard drives. As PCWorld notes, the company is also working to increase the minimum capacity of hard drives used in manufactured PCs to 1TB.